After three years of delays and community concerns, Depot Springs Beer Co. — the ambitious La Mesa experiment that was to house a brewery/distillery, restaurant and live-music venue — is officially dead in its tracks. 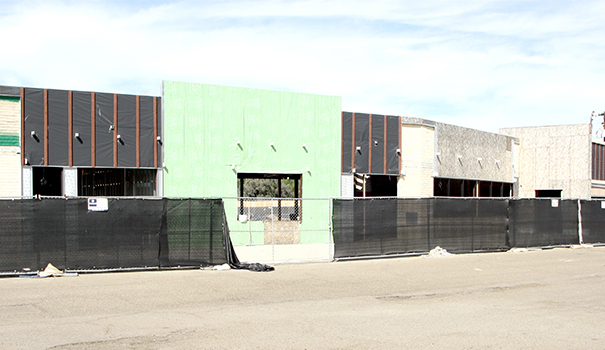 Development of the 7,400-square-foot East County building (located on the north end of a Fletcher Parkway strip mall containing a Souplantation restaurant and a Michaels arts and crafts store) and its sprawling lot, initially got underway in 2015 and was projected to open at several different times over the last three years but ultimately never materialized. On Tuesday, Feb. 13, the site’s owner/CEO Aaron Dean announced on the Depot Springs Facebook page that he’d placed the property, which his family has owned since 1959, up for sale via the commercial real estate brokerage Cushman & Wakefield. It has the Fletcher Parkway address listed for $2.4 million as a “permitted brewery opportunity,” along with $700,000 worth of brewery equipment (available for sale separately). As reported in the La Mesa Courier in March of 2016, Dean hosted a community forum to address growing neighborhood discontent about his expansive project — namely overflow parking and noise concerns stemming from plans to operate a live-music venue on the brewery’s grounds. However, he contests those issues weren’t the cause of the Depot Springs’ demise. According to Dean, the facility had reached “about 70 percent complete” but ran into an insurmountable slew of problems recently. Depot Springs Brewing Co. would have certainly been a breath of fresh air to an otherwise sleepy part of town. Upon its opening, the project would’ve hosted a full-service, family-friendly restaurant/brewery concept (including a 3,000-square-foot enclosed, alcohol-free “kid’s camp”) along with a 600- to 900-person (depending on type of seating) outdoor courtyard for live music and other events. While news of the site’s sale is a disappointing end to the long-awaited project, there could be a silver lining. Dean is currently talking with several different potential buyers, presumably breweries, to purchase the property and, hopefully, bring his vision (or some semblance of it) to life at long last. As for Dean, the La Mesan is focusing on his other neighborhood venture: Sheldon’s Service Station. Along with slinging coffee, breakfast, lunch, and a few craft-beer/wine selections, the La Mesa Village hotspot also hosts live music every weekend. Dean said that starting in April, they’ll be extending hours with music going later into weekend evenings. And if he has other projects up his sleeve, he’s not telling — just yet. — Dustin Lothspeich is a La Mesa resident/musician who largely spends his time writing about the San Diego music scene for area publications. Mr. Dean wasted his money. I hope whoever buys Depot Springs can either keep building on what is standing. Hopefully they would not have to tear it down. Glad he was able to sell to a group that will plan to develop the property. I was one of the 70 people who bought a membership to the “pour club” prior to the project failing. Now that he has sold the property I would like to know when he is going to return these fees. Anyone else out there in the same boat? Any =one know who to reach Mr. Dean?